Check out Beber supergroup Triple Thread’s rendition of Locked out of Heaven live at Fine Arts Fest, and download the live single too! Shalom Rome says Shalom BeberFest! We were all gladiators in ancient Rome, we were sentenced to death, but then Leo was banging on the jail cell and made a rhythm that sounded cool, and the Romans liked it so they let us all out on the condition we’ll play music forever. Our music was so good, one time we broke the time-space continuum and ended up in 2018 AC in Wisconsin. Our music was remembered from back then and we were accepted as heroes. They’ll remember us for centuries! (In other words, check out their amazing Fine Arts Fest performance and download their live and studio recordings now! No Rock n Roll Chickens Here! Watch this glorious BeberFest performance! These Beber veteran performers put together a brand new band, paying tribute to Oscar the Egg before launching into their latest hit for a capacity crowd at Crown Hall at BeberFest. As discovered by Makor, there is a hairy goose named Charlie who lives at Beber Camp. It turns out he likes to make memes (mainly about Shrek) and likes to eat sunbutter. Who'd have thought?! Our names are Penny and Emerson. We are from Deerfield and River Forest, IL. We both love to play banana grams. Our song is about 3BC and summer camp. We are both 9 years old and in 02 rice. We hope you enjoy our song! We're the Flying Bananas! Our names our Lyric and Adam and we come from planet Poprica...we think. We LOVE cards. We wake up really early and play with rubiks cubes. Our song is a parody of "Pumped Up Kicks" by Foster the People. It is about cards and we hope you enjoy it! 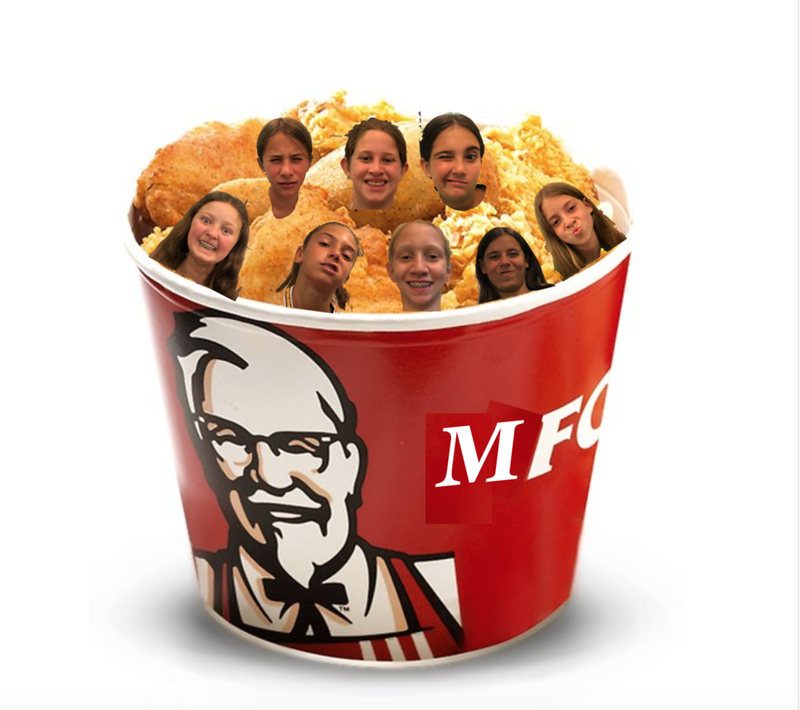 We are MFC (Mukwonago Fried Chicken). We are from Mukwonago, Wisconsin. Our favorite food is fried chicken. Our names are Levi, Nate, Zues, Grody, George, Shay, Aaron, and Stein. Catch us headlining at Woodstock April 57th, 1969. Don’t forget to keep calm, fake a British accent, and eat fried chicken! Enjoy our music! Some say that if you wander past the Field House during this hobby that you would truly feel the best of both worlds. We whole heartily agree with said statement. Check out their epic performance at Fine Arts Fest 2018 below, as well as their rehearsal video! And you can stream and download the live performance mp3. Rawk! 6 people walked into the woods. 5 came out. Enjoy their Fine Arts Fest performance, download and stream their mp3! That was the question on everyone's lips until the moment they hit the stage at Fine Arts Festival and dropped their new single! They are pure fire and they showed camp who is boss. Check out the studio and live recordings, and their epic performance captured by a pro three-camera video team, below. ALSO stream or download their other studio hit Good Riddance! Cajon Building Was a Bangin' Hobby! Two lucky campers got to build two lucky cajons this year at Beber, one each session! The cajon is a Latin American percussion instrument, and very popular for campfire jams and such. Pictured here is 2nd Session camper Spencer Gertz atop his creation, which features a different musical instrument on each surface, carved in with a Dremel tool and then painted. Slappin' the bass is so yesterday, slappin' the cajon is where it's at! Bearing Down on the Cajon! We had a lot of fun in our very first Pro Tools/Logic 101 Hobby - dedicated to teaching campers how to record music on their home computers using equipment and software that they may already have, or which is very inexpensive. Our goal was not to finish a song, persei, but we DID make some beats, which we then manipulated with special FX and plug-ins to make them very unique. So here's a reel of 6 beats, each made by one of our 6 talented Ramot campers - Gabi, Jack, Morrie, David, Izzy, and Oliver. Oh and below that is a drawing we made illustrating signal flow in a recording path. Good stuff! Daniel saw a video of Queen one day and was inspired to create a parody of "We are the champions". He had just won the baseball championship and decided he needed a song to celebrate all his victory and his time at Beber camp. He had a golden trophy and he decided that he needed to tell everyone just how amazing Beber camp was and, at that moment, Lila just happened to walk by. Together they decided to write a tribute to the greatest song ever. 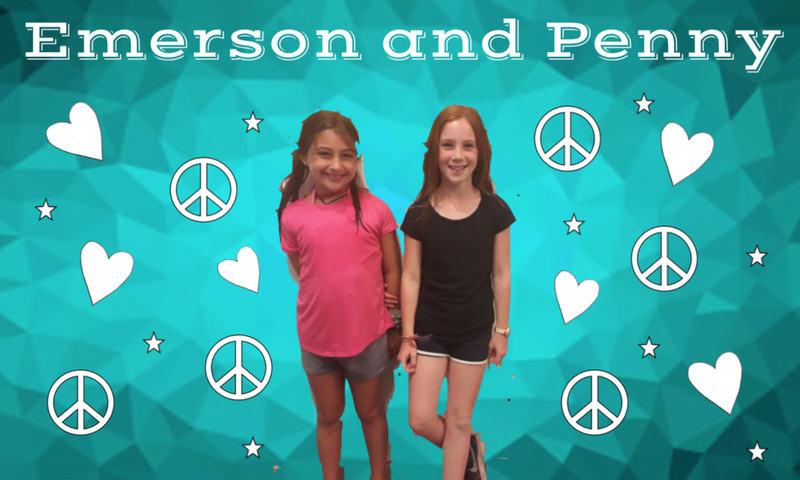 Two girls from the city of Chicago, who both loved music and Camp Beber. Came together to write one of the greatest parody mash up’s ever. They faced many challenges, including uncontrollable laughter, writers block and very loud noisy neighbors. Shayna is a dancer, singer and actress. She also plays the keyboard and sports! Danielle is a softball player, singer, and actress. She also plays the keyboard and other sports! They have been besties for 7 and a half years. They decided to do a mashup of “Little do you know” and “Thunder”. The Dancing Cookies Have some Sweet Jams! Straight outta Makor, ready to take the camp by storm, The Dancing Cookies are the newest rock n roll sensation! Rock ain't easy, but here's an exclusive sneak peak at a recent rehearsal, playing the all-time classic "Smells Like Teen Spirit." Beber always has so many amazing musicians and singers, and 2018 is no exception! Check out some of these awesome performances from the second session staff talent show! Tastefully taking some inspiration from Billy Joel's hit song, The Piano Men stormed the music realm of Beber Camp and immediately established that they were a force to be reckoned with. Rather than playing carnival-like pianos and memories for an old man, these dudes set out to drop some phat beats and wonderful tunes. As we can all observe, they definitely achieved their goal. "At 211 degrees, water is hot. At 212 degrees, water boils. When water boils, you get steam. When you get steam, you can power a locomotive. It takes one degree to separate the good from the great. But when you 212 a 212, you get the 424." Although this statement can be a little confusing, lead singer Alex knew exactly what he was saying. He, along with Joel, Jay, Evan, Matt, and Josh brought all the energy to the Beber Camp stage at the end of 1st session with their electrifying performance of the Kanye/Kid Cudi classic, "Erase Me". The band was hyped up as well as the entire crowd. Now THAT is a 424. That live recording, as well as their studio recording, is below! K-U2 swept into the studio late-night on a sneakout to sing about how generally cool they are, and how they basically run camp, and other such big statements that they back up with their big personalities.